On behalf of admin of JML Law, A Professional Law Corporation posted in Sports Injury on Thursday, Nov 09 2017. Tea and biscuits. Sports and injuries. Certain things just seem to go together. And while every sports player (and their parents) realize the risk of playing sports – be it football, basketball, rugby or other sports – not all of them know that you don’t have to be paying those hefty medical bills from your own pocket. Whether you play football or basketball, you may have broken a bone or two (or have seen your teammates break bones). But broken bones are not the scariest thing that can happen to you while participating in sports, as it’s not uncommon to suffer a brain injury. 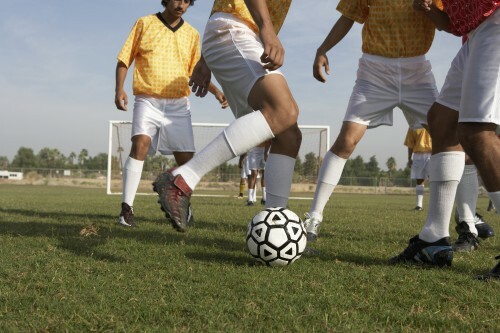 About 300,000 sports-related traumatic brain injuries (TBIs) occur in the U.S. every year. Brain injuries can leave long-lasting side effects or even make you disabled for the rest of your life. Brain injuries are not to mess with. And a North Myrtle Beach Middle School student learned it the hard way when playing football in October, 2016. The student was hit by multiple players that game, but continued playing, and no one removed him from the field even though he told his teammates and coaches that he was having a hard time keeping his balance after those hits. Later that game, the boy was hit multiple times more, which is believed to have aggravated his brain injury. And even though the player was seen struggling to keep his balance, he was not removed from the field by the coaches. As seen from the court document, the mother argues that the school district and the coaches failed to respond to the boy’s strange behavior on the field and didn’t remove him from the game. The mother is also suing the school district for failing to treat her boy with immediate medical attention as well as failing to hire, keep, and supervise a proper coaching staff. The family seeks actual and consequential damages for their medical expenses (past, ongoing and future) as well as “further relief” compensation. From our own experience here at the JML Law offices, we estimate that this case could, in theory, bring the victim hundreds of thousands of dollars. How to make THEM pay for sports injury medical bills? Lawsuits like these are not uncommon in Los Angeles or elsewhere in California, where thousands of boys work hard and play hard to win points for their teams and schools. In the U.S., a whopping 12 million children and young adults between the ages of 5 and 22 years seek medical help to treat sports injuries every year. Winning a sports injury lawsuit in Los Angeles is possible, but it requires a professional legal representation from an experienced sports injury attorney. JML Law has obtained millions of dollars in compensatory and punitive damages for its clients for over 35 years now. Our Los Angeles-based law firm is fighting for your rights day and night to win sports injury lawsuits and get compensation for your injuries and damages, including lost capacity. A sports injury can put a tremendous strain on your family’s budget, but with a Los Angeles sports injury attorney, you will get those whose negligence caused your or your child’s injuries to pay the medical bills. Call JML Law’s Los Angeles offices at 818-610-8800 or send an email to get a free initial consultation.